Black elasticated fabric upper with gold trim, leather soles. 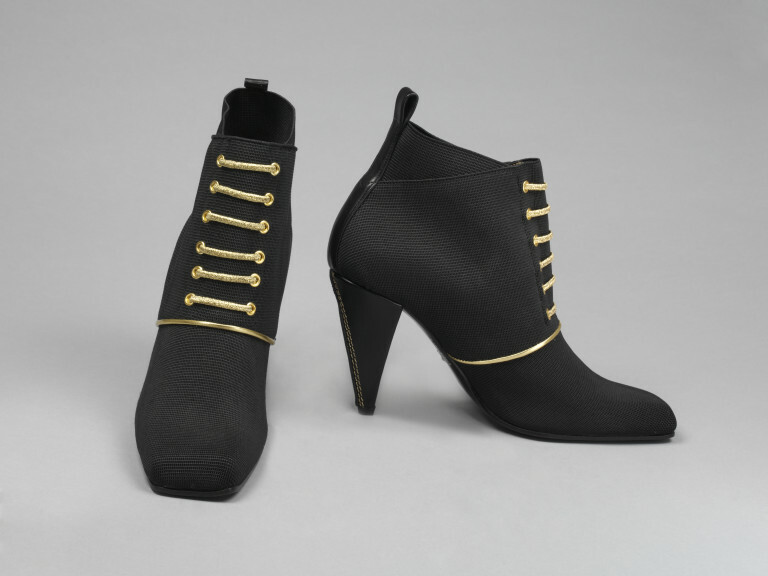 Shoes, F, black elasticated fabric, healed, with gold 'lace up' trim and square toe. Shoes, F, black elasticated fabric, healed, with gold trim and square toe, designed in Britain by Luc Berjen, made in Italy, 1995.